Being a small state with no natural resources or strategic hinterland to fall back upon, my country Singapore has always had to be unwaveringly pragmatic in order to survive, let alone prosper, in this harsh and unforgiving world. In the early days of our independence and industrialisation, our government and schools focused heavily on STEM – science, technology, engineering and mathematics – to boost the value added per worker so that we could compensate for our geographical disadvantages. Between the 1960s and the 1990s, there was a strong perception that Science was the ticket to a good life, and the Arts were an abstract waste of time. Even now, that mentality has not totally disappeared. This emphasis on the sciences at the expense of the Arts led to Singapore being a cultural desert in the early decades, though the nation is now far more culturally vibrant. For the purposes of this essay, I shall define ‘irrelevant to their daily lives’ as being not important, useful or connected to the ordinary everyday activities and concerns of Singaporeans. As the Arts are critical to Singapore’s economic development and vital to the alleviation of stress and unhappiness in our everyday lives, I believe it is largely untrue that for most Singaporeans, the Arts are irrelevant to their daily existence. Detractors of the Arts might put forth the contention that for a small, natural resource-poor country like Singapore, the people need to devote themselves to fields that yield more assured tangible economic returns, such as science, engineering, economics, law and so forth. The Arts, they assert, are merely an interesting and meaningful pastime at best, a frivolous distraction from practical concerns at worst. How would watching the angst and pathos of Shakespeare’s King Lear, for instance, put food on the table for the family? How would revelling in the splendour of the Singapore Chinese Orchestra help an accountant clinch a promotion, or keep a banker from getting laid off? On a national level, how would the multimillion-dollar investment in the resplendent Esplanade theatre enable the country to fend off fierce economic competition from larger economies such as China and the United States? Therefore, they claim, the Arts are of no concern to the everyday realities of a Singaporean. This argument, unfortunately, fails to depict the world in holistic terms. The Arts, The Sciences, politics, economics, architecture – these, and more, are intricately connected to one another. In truth, the Arts are now critical to Singapore’s economic development. I say “now” because when we were a low-cost manufacturing nation at the start of our history as an independent nation in the 1960s, the Arts were of little, if any, importance to us economically – we needed only technical skills to carry out the instructions of foreign multinationals to manufacture slippers and transistor radios. Even into the 1990s, when we became a high-cost First World nation, the Arts were still of limited economic value to us as we were still mainly carrying out the instructions of foreign investors, just that we had moved up the value chain into manufacturing pharmaceutical and electronic products, and diversified into services such as banking. In the 21st century, however, countries with a lower cost base have closed, and are continuing to close, the skills and capabilities gap between themselves and Singapore. China and India each produce tens of millions of university graduates every year, and each year such emerging economies move higher and higher up the value chain while their workers demand a mere fraction of what Singaporean workers are paid. The Singapore government is concerned about a growing number of professionals, managers and executives being made redundant by companies that have moved their operations out of Singapore. We now cannot merely rely on our ability to carry out instructions and work according to received knowledge – we need to re-imagine, innovate, create if we are to stay competitive. For that, we need the Arts, which teach us to always look at things in new and interesting ways. This can enable us to make the quantum leaps in value needed to survive in a world of cut-throat competition. For instance, the home-grown food and beverage company The BreadTalk Group has opened over 800 bakery outlets across Asia with its artistic recipes, while health and wellness firm Osim sells hundreds of millions of dollars’ worth of imaginative health products such as massage chairs and fun workout machines throughout the world each year. The imaginative recipes and designs sold by these companies are forms of art too, and without them, we would not be able to achieve such leaps in economic value. If we did not have this artistic flair, more and more Singaporeans would lose their jobs to cheaper competitiors overseas. Our relentless and frenetic efforts to stay ahead of the economic curve, however, take a considerable toll on us mentally. Hence, Singaporeans are under immense mental stress, which the Arts play a vital role in alleviating. Singaporeans’ working hours are among the longest in the developed world – 2,287 hours a year, according to the Federal Reserve Economic Data website. Many feel overwhelmed by work or studies and neglect their families. The Arts can relax the mind and help protect Singaporeans’ mental health. For instance, thousands of Singaporeans head to the beautifully designed Gardens by the Bay every month to free their minds from the shackles of work and lose themselves in the creative landscaping in the sprawling gardens which feature everything from Chinese to Indian gardens with statues of various sizes. At the President’s Star Charity in 2014, the Japanese Zen dancer Miyoko Shida-Rigolo enthralled the audience with her incredibly peaceful, tranquil and delicate act of balancing an intricate lattice of long branches – it was an artistic act that resonated with many Singaporeans as it taught us the concentration needed to find peace and tranquility in the chaotic world of the 21st century. The Arts are vital to our everyday mental well-being. Sceptics might assert that the Arts are too high-brow for most Singaporeans, who in their pragmatism chose not to study the Arts and humanities in school as these subjects are reputedly “difficult to score in”. These sceptics often point to the high proportion of foreigners in the audience at artistic events such as the Laneway Music Festival and Art Stage. However, this is to ignore the fact that not all art is high-brow. All art, even the simplest, can bring us all the benefits mentioned above. Indeed, even a simple crayon drawing by a child is art as well, and can bring us joy or solace. Architecture, too, is an art and Singaporeans of all levels of artistic literacy can revel in the beautiful design of the Marina Bay Sands integrated resort. Our subway stations on the Circle Line often feature elegant or breathtaking artworks, such as the multi-coloured mural at Serangoon station and the thrilling sports-themed illustrations at Stadium station. Highly accessible art increasingly fills the everyday spaces of Singaporeans and brings not only economic benefits by attracting more tourists and foreign talent to Singapore, but also joy to our everyday lives. In sum, the Arts are filled with tangible and intangible value, and therefore full of relevance to the everyday lives of Singaporeans. Without the Arts, not only would Singaporeans find it extremely difficult to cope with stress and find the deepest fulfilment and greatest joy – they might even find themselves reduced to economic irrelevance, unable to meet even their most basic daily needs. After all, we should not forget that making a small country succeed takes ingenuity and inventiveness – which are the very essence of Art. Copyright 2015 Steven Ooi. No part of this work is to be reproduced without the express written consent of the writer. 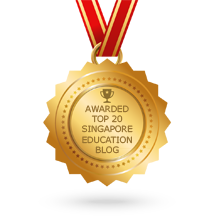 The blogger, a First Class Honours grad from NUS, retired from a distinguished 14-year career as an English and GP tutor at the age of 42. To view tutors recommended by the blogger, please click on ‘Recommended Tutors/Testimonials’ above. If you are an English or GP tutor keen to be listed on this website (consistently ranked top 10 on Google for GP tutors) as a Recommended Tutor, please email Steven Ooi at stevenooi18 @ yahoo.com (remove the spaces). This entry was posted in Argumentative essays, English essays, gp model essays, Model essays and tagged english tutor, gp model essay, gp model essay on arts, gp tuition, top gp tutor. Bookmark the permalink.